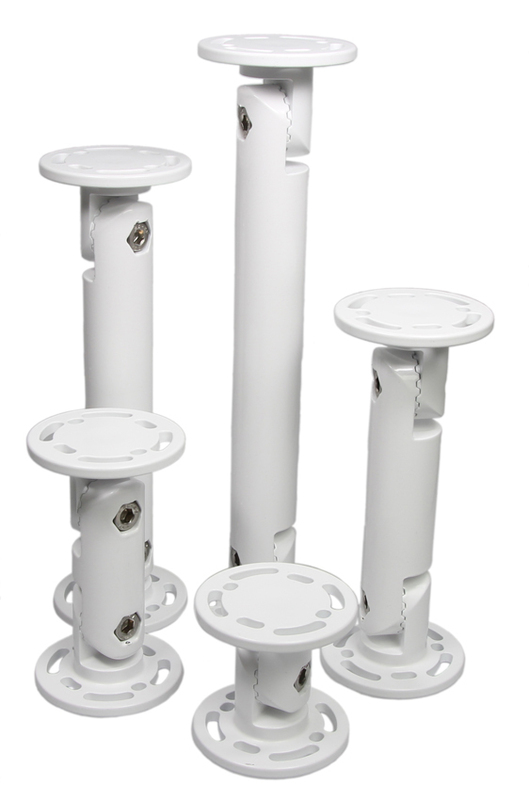 Pedestal mount 6". Total length: 164 mm. Round mounting plate, diameter 64 mm. Multiple holes for radial adjustment. Includes 1 Allen key. White. The angle between the Pedestal Mount parts can be changed as required. Can be angled sideways in steps of 24°, up to a maximum of 192° (8 different positions). 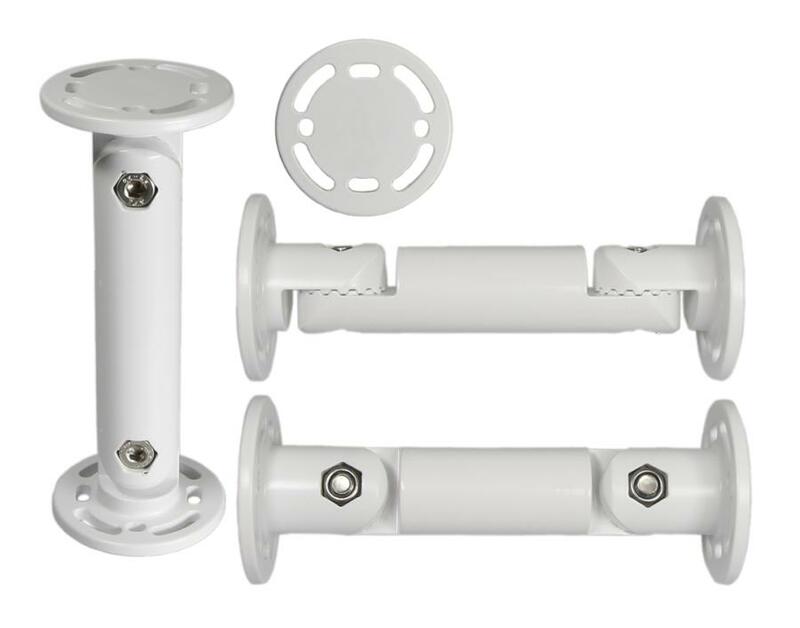 The round mounting plate has a diameter of 64 mm and multiple holes for radial adjustment.